If you want to learn natural healing and medicine you are in the right place. If you are a mom, grandma or even a nurse like me, and wish to learn a more natural healing approach to health, I have many ways I can help you. Just like the family that had a little boy with asthma, you can find some information, tips, and techniques here among these pages. There is one important side effect of learning natural approaches to health......you will have fun! People are "wired" to feel a sense of fun from helping other people. As you learn, even a few simple techniques, you will find yourself helping your family and friends with their health struggles. The best way to learn natural healing and medicine is to try using them yourself. Homeopathy is the best place to start. If you have chosen the correct remedy you will typically see results for any acute, or sudden condition within just a few minutes. This way you will be able to experience for yourself the fast and effective healing that can occur with a remedy. The next thing to learn more about is herbal healing. Learning natural healing medicine in the form of herbs is also very safe and effective. Herbal healing has been around for thousands of years. Ayurveda, Chinese, and Western Civilizations have all developed natural healing and medicine approaches to health. Healing with herbs is a key component in all of these approaches. Ayurveda dates back 6000 years. Traditional Chinese medicine is over 3000 years old. Then there is Western Herbalism, Indian Herbs and more. That is a long and varied tract record of healing. Compare that to current conventional medicine whose current practices only date back to the 1940's when antibiotics first became available. You MUST have a healthy diet in order to feel energetic and enjoy life more. This should actually be the first step because if you have a healthy diet, every part of your body functions better. I only put this down as the third step because most people feel they know what a healing diet is. The truth is that if you just change a few simple things about how you eat, you can reap amazing health benefits. Some of the best natural healing support is often the least expensive as well. You will love it when people tell you they are feeling better and they didn't even have to refinance their house to achieve it! Your grandmother probably told you that prevention is the best cure. Your lifestyle choices concerning diet and exercise are the most effective preventative choices you can make. Learning a few key homeopathic, herbal and aromatherapy remedies will add to your ability to prevent stress and disease when you are face with challenging situations.
. . . and many more conditions that impact people from all walks of life. As you may have gathered, the best time to learn natural healing and medicine is before you are sick. What's keeping you from learning the natural healing arts that can save you precious time and money, as well as future health? Did you know there are many natural healing medicine options that allow you to get the healing benefits you need without the risks associated with pharmaceuticals? Natural health medicine has been around for centuries. In other words, these medicines have withstood the tests of time. When you put natural health remedies to work for you the benefits far outweigh the risks. See what a difference natural remedies can make for you. Contact Me page for Pamela Sadler's "Learn Natural healing and Medicine" website. Natural health books are the building blocks for your entrance into natural healing and whole health. You will be amazed at what these books have to teach about nature and the human body. Learning about natural healing oils and how to use them for common health conditions and illnesses will benefit your and your family. 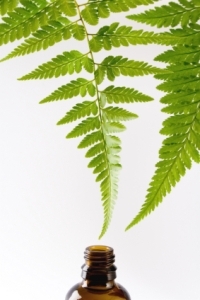 Finding great homeopathy remedies is easier than you might think. The information age makes finding great natural cures to common ailments and illnesses easier than ever before. RSS/Blog page for the "Learn Natural Healing and Medicine" website. Learn about herbs, homeopathy, aromatherapy, and nutrition. Cannot heal? Learn about blocks to healing here. Eating natural healing food can be simple. Learn how to pick out wholesome foods from your local grocery store. Do not stress over your diet. Would you like to share your knowledge about learn natural healing and medicine? Great, find out how you can submit your story or tip here.